Puttin’ On the Ritz. 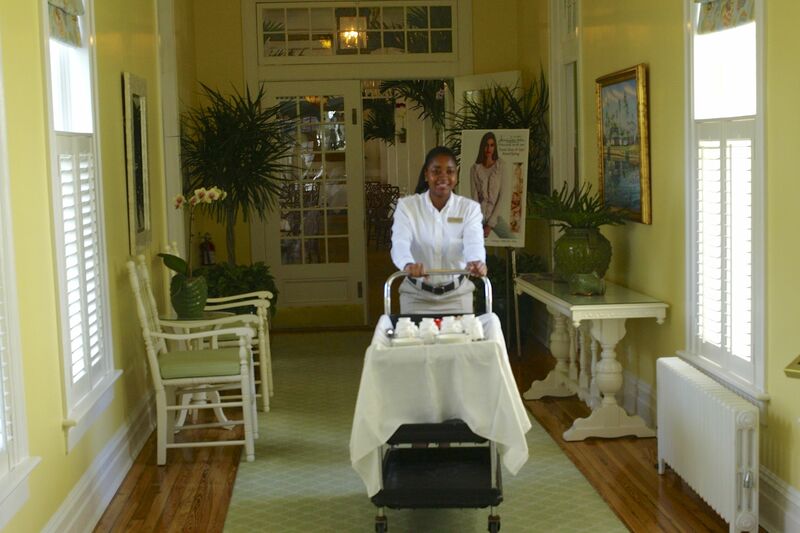 Blogfinger Visits Florida’s Gasparilla Inn. Join Us for a Peek. 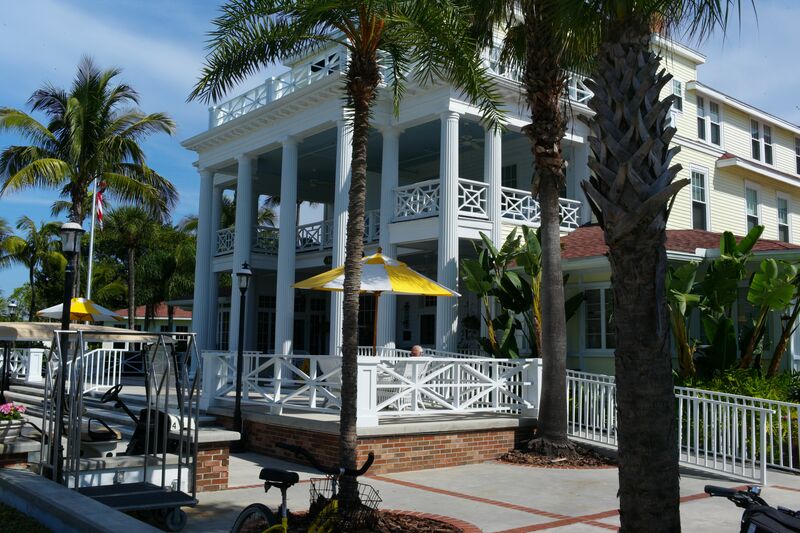 Front entrance to the Gasparilla Inn located in Boca Grande on Gasparilla Island, Florida. All photos by Paul Goldfinger © 2014. Click all photos to get bigger views. By Paul Goldfinger, travel editor @Blogfinger. Re-posted from 2014. 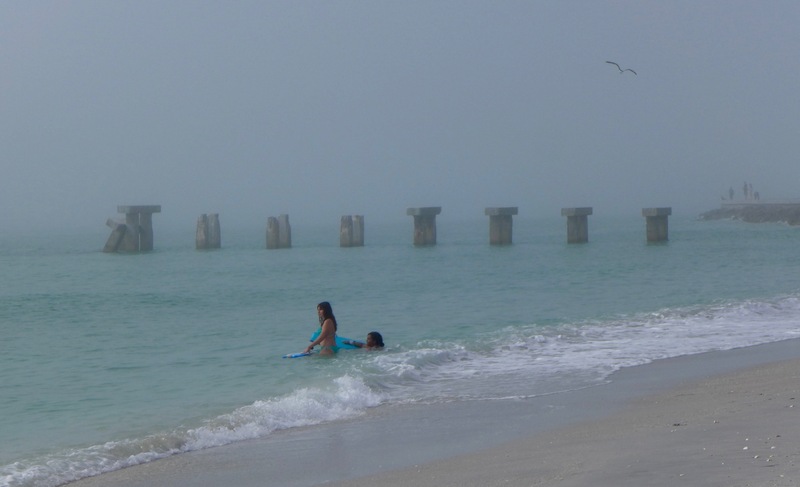 If you were a big shot one hundred years ago, like Henry Ford, Thomas Edison or Harvey Firestone, you would have wanted a high-tone place off Florida’s Gulf Coast, where you could rendezvous in the winter with like-minded society people from the northeast who enjoyed the finer things in life. After all, the weather here in the winter is unsurpassed. Perhaps you enjoyed golf or going deep sea fishing with your friends, but at the end of the day, you would prefer 4 star cuisine and only the best accommodations for friends and family. Gasparilla Island seemed like the perfect place to establish a first class hotel where the rich could mix pleasure, privacy and business. 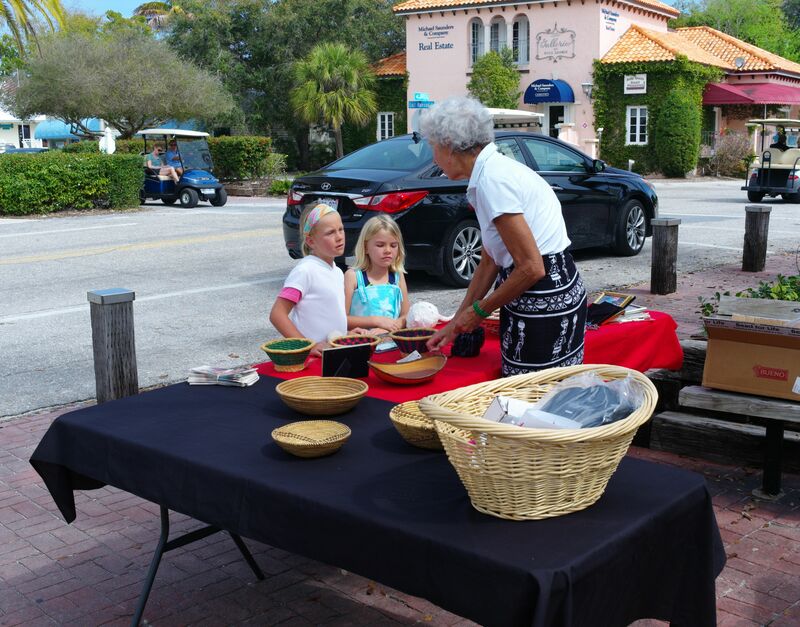 1,000 years ago the first visitors to the region were the Calusa Indians—fishermen who built mysterious sea shell mounds. In the 18th century, a Spanish pirate named Jose Gaspar plundered the waters near here. The fishing around this barrier island is remarkable, and going after the mighty tarpon is among the best sport fishing experiences in the world. 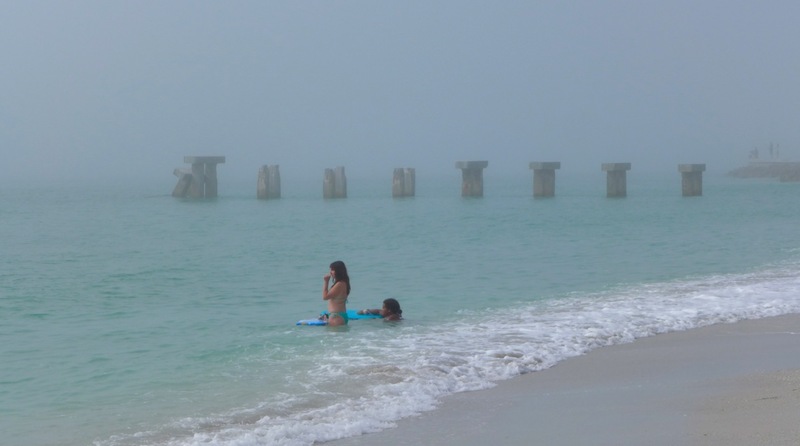 We took a ride north from Fort Myers to spend the day on the island. There is only one way in and one way out. 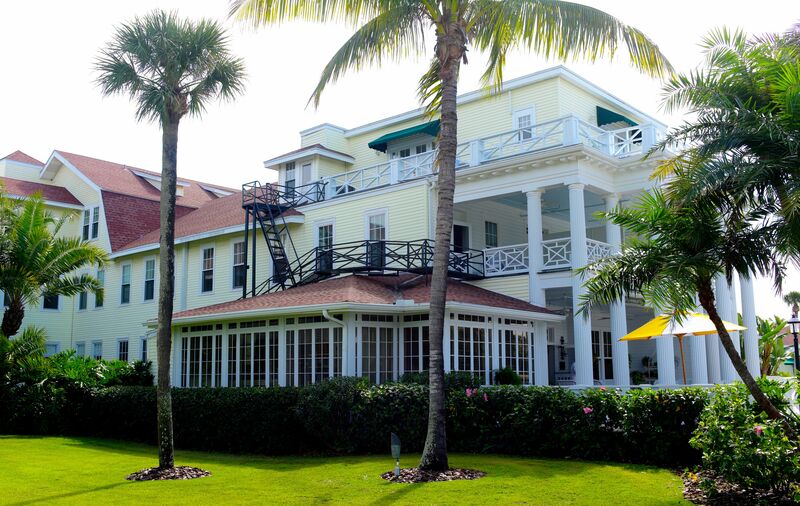 The hotel was built in 1913 and is picture perfect, with the ambience of Old Florida and with a style of understated luxury. It is on the U.S .Register of Historic Places. People tool around in golf carts, and the town of Boca Grande, where it is located, is classy but very low key. 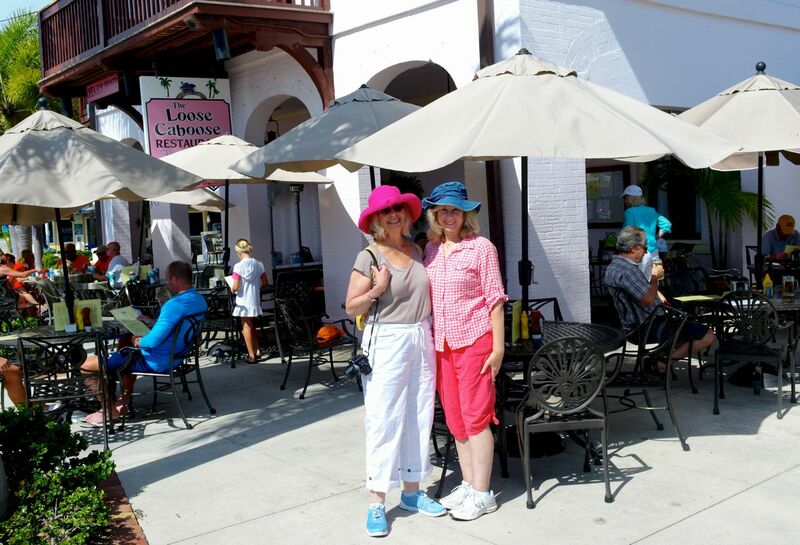 We had lunch al fresco in town at the Loose Caboose where they serve excellent grouper sandwiches and homemade ice cream which was a favorite of Katherine Hepburn—she even wrote about it. The décor at the Inn is done in bright colors with all sorts of nautical themes around. 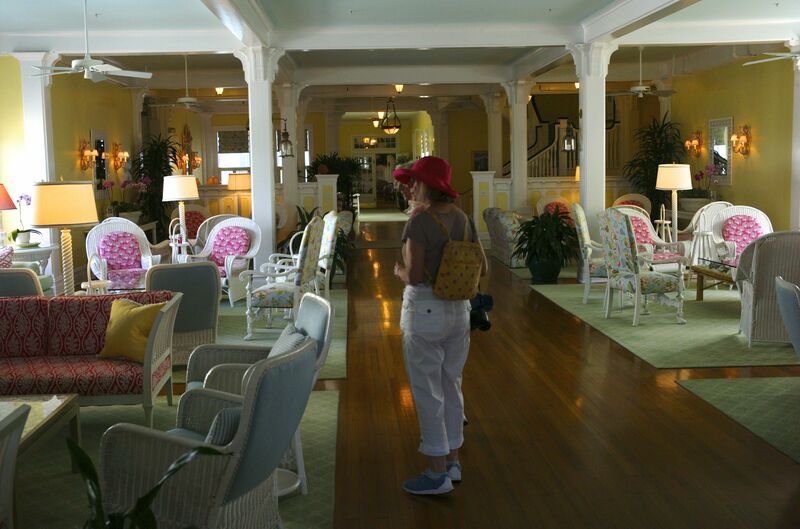 Pinterest.com mentions “the pinks, greens, chintz, wicker, rattan and sea shells.” The golf course is surrounded by water, and a guest calls it “golf heaven.” The beach club is one block away. People here are dressed in a certain fine casual style: Docksiders (no socks), flowery and colorful casual dresses/skirts (on the women), and khaki Bermuda shorts for the men held up with belts that have fish and lobsters on them. You don’t see too many women in pants or short shorts or gaudy jewelry, or big hair, and not a chance of cleavage. The men like golf shirts or bright colored short sleeve polos. George H.W. 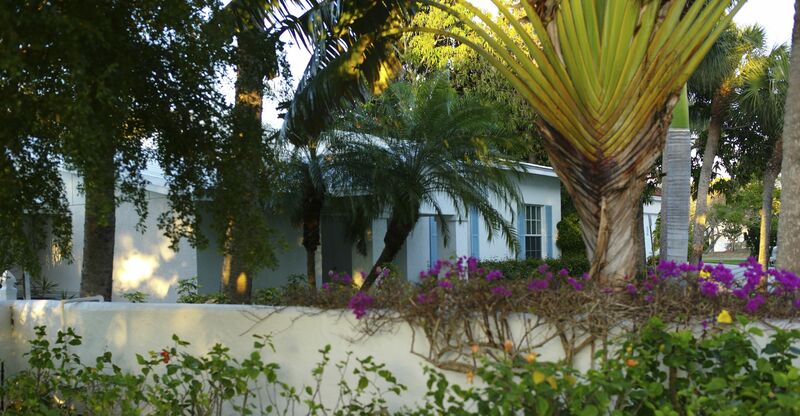 Bush and his family come to the Gasparilla Inn for Christmas and New Year’s. The former president is known to be an avid golfer who goes out even in cold wet weather. 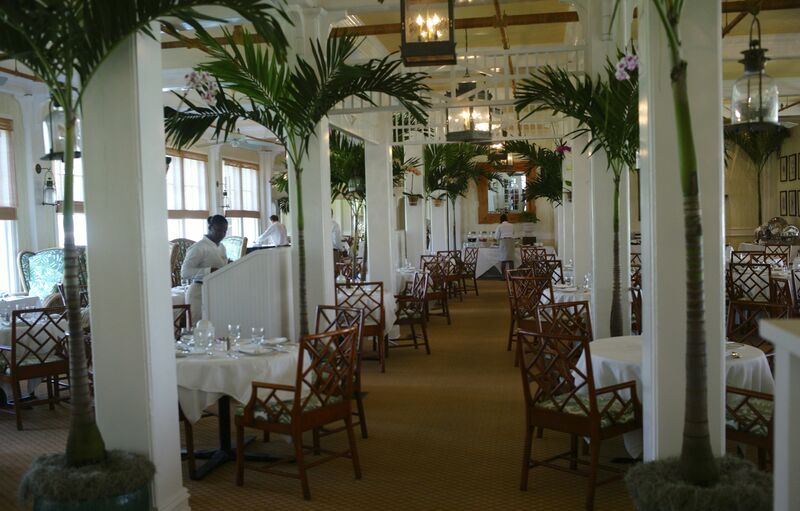 I asked a young waiter at the Inn if the locals call the shrubs “George bushes.” He smiled but he was not enthused. Eileen and her sister Hope were reluctant to walk into the front door. So I thought positive and entered. They cautiously followed. Inside we walked around, and no one challenged our credentials. 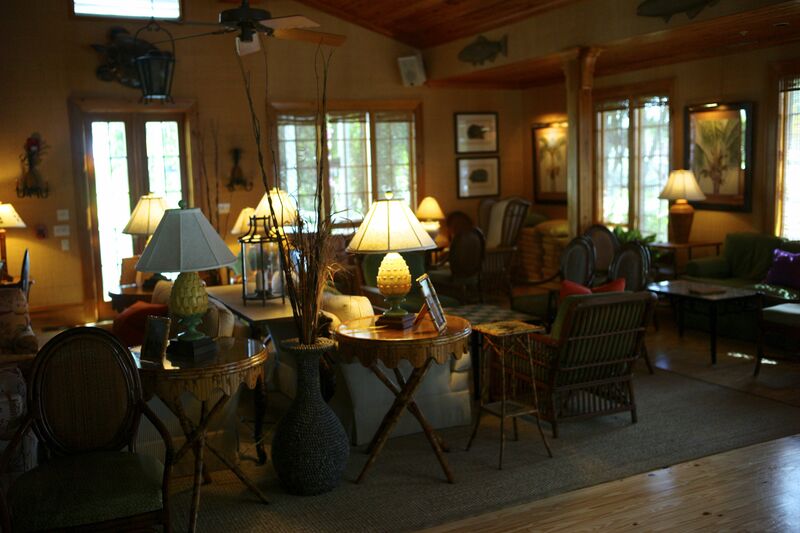 The staff and guests were relaxed and easy- going. I took photos, but no one objected. I usually don’t like fancy places, but the Gasparilla Inn seemed just perfect to add to my bucket list. I think I’ll start one now. 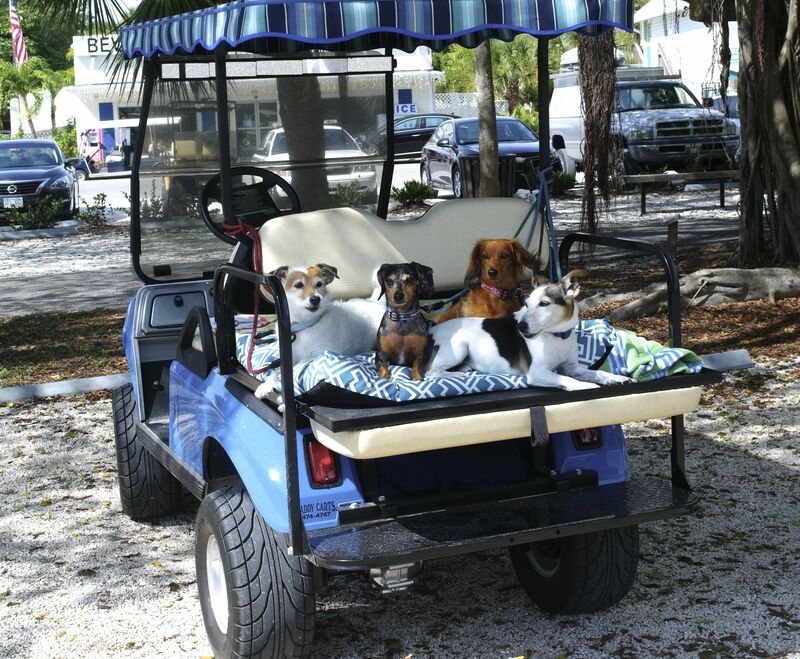 Pampered dogs get chauffeured around in a golf cart. © And there is a fine and spacious dog park. 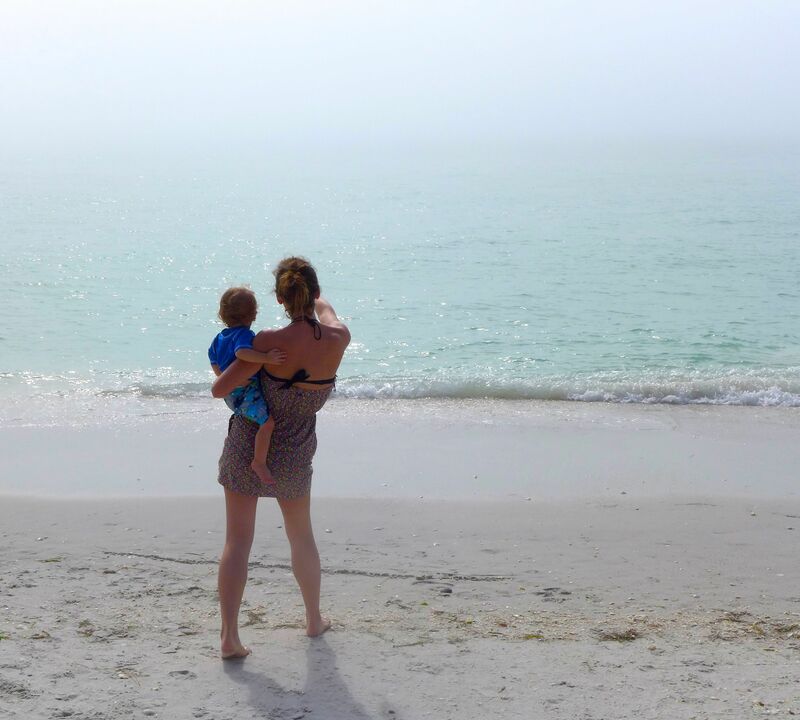 Gasparilla Island. 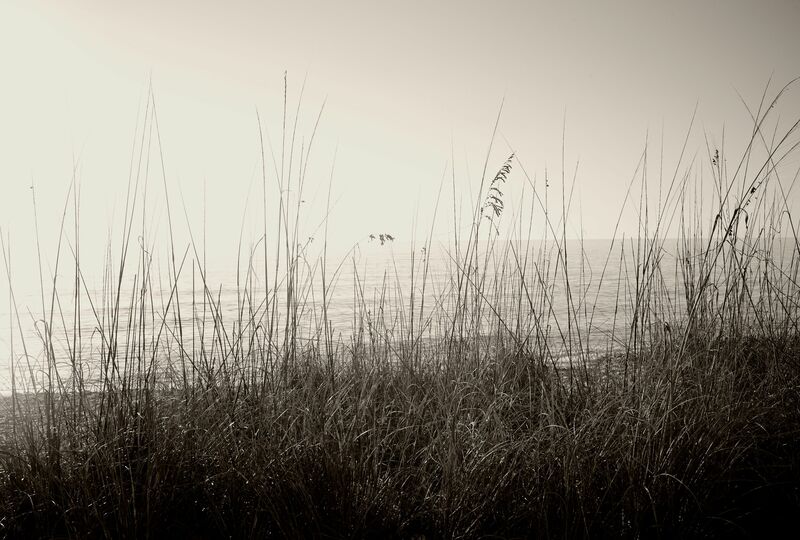 Florida.Paul Goldfinger photo. 2014 © Click to enlarge. Gasparilla Island, Florida. 2013 © By Paul Goldfinger © Click to enlarge. 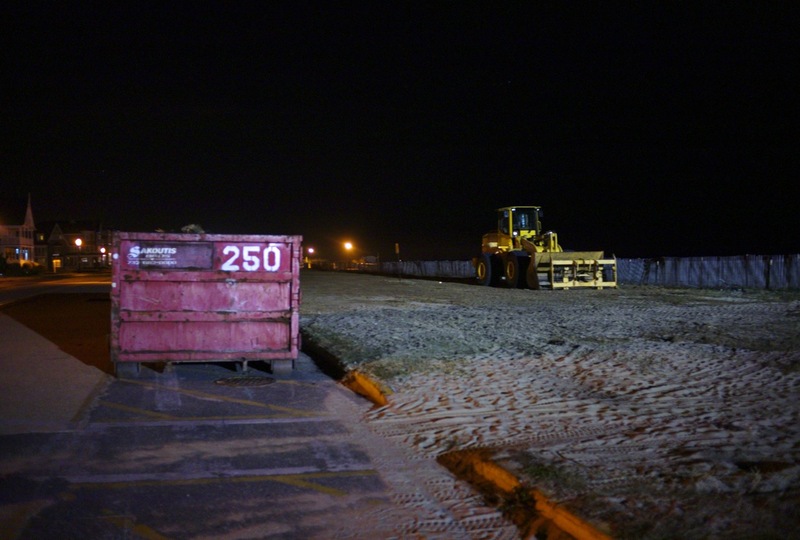 “Dumpster 250” Ocean Grove. 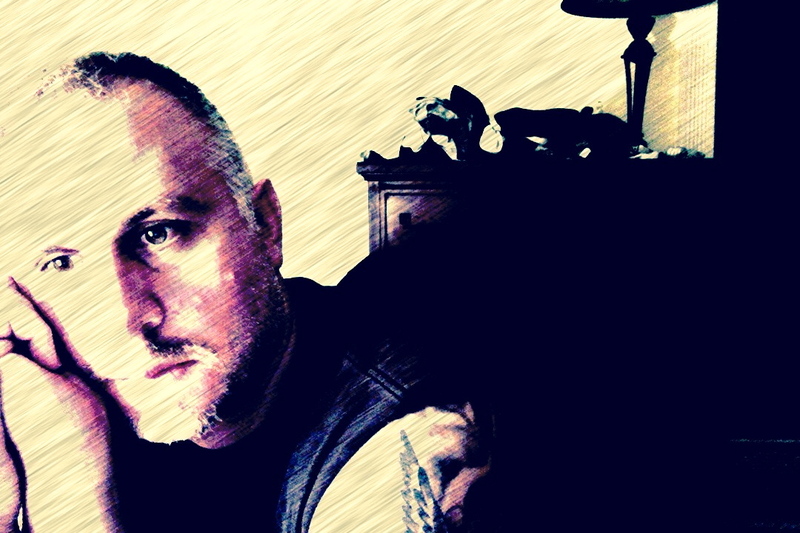 By Paul Goldfinger © 2014. Click the images to enlarge. We recently talked about different schools of photography and we mentioned the latest approach which uses digital cameras and special softwear. Some of those effects can be achieved in-camera by using menus that offer a variety of novel ways to alter your images, but much more can be done with post-camera processing on computers using Photo Shop or other programs. But many photographers today still favor traditional ways to express themselves visually through photography, even though they may still use a digital camera. The photo above is a straight night image with natural light. New digital cameras allow the ability to do low light images without flash. Post camera adjustments of the above photo were minimal involving some minor cropping and color enhancement. Below is an example by Moe Demby of digital alteration of a photograph. 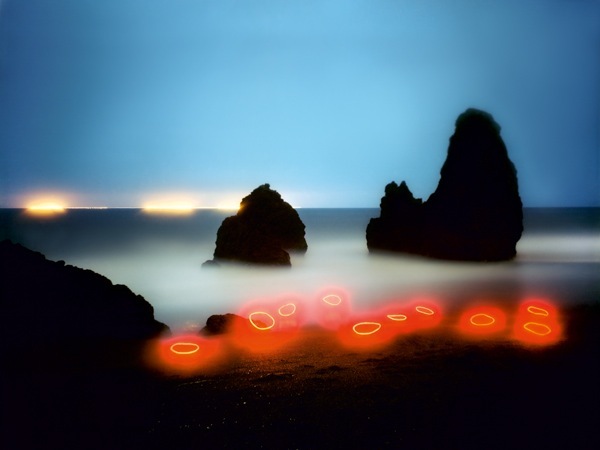 “Rodeo Beach, 2009.” By Barry Underwood. 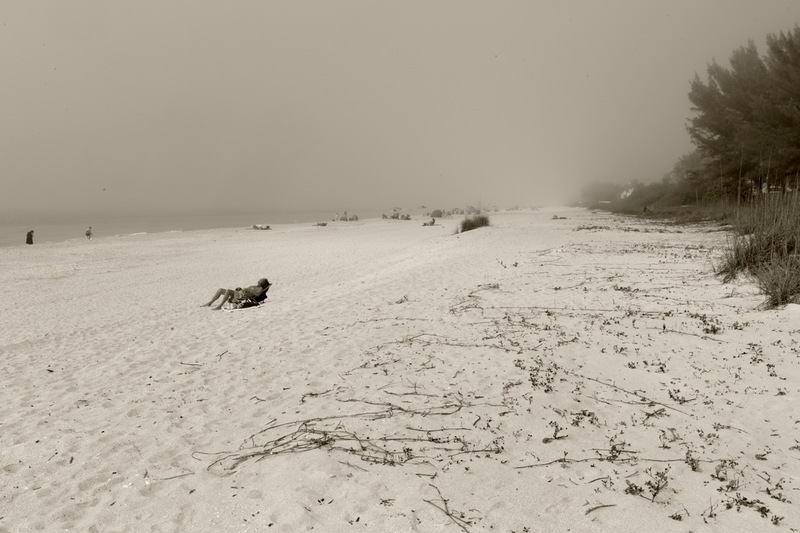 Photo from the magazine “Photograph.” Image on exhibit in NYC. 2014. Then there is Gary Winogrand who created a form of street photography in the mid 20th century that paid little attention to composition or image niceties. He was after scenes about how people lived their lives, and he produced hundreds of thousands of pictures. Below is one of his typical images from the J.Paul Getty Museum in Los Angeles. It was obtained with a simple 35 mm camera and black/white film . This photo is from a current show of Winogrand’s work at “The Getty.” It is the simplest form of photography, and yet it is, in some ways, the most complicated. 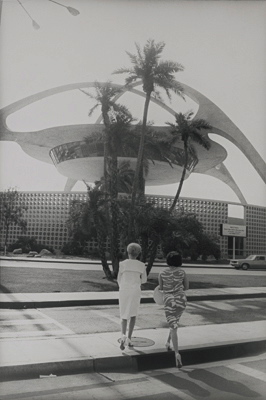 LA International Airport 1964 by Gary Winogrand. J. Paul Getty Museum. So, if you thought that photography consisted only of snapping pictures, this review gives you a tiny idea about a variety of ways that photography can be used to express an artist’s ideas and to convey them to the viewer. NAT KING COLE. From a 1941 musical “A Ziegfield Girl.” It became Lana Turner’s theme song.